Hey, I'm Christopher and I can't ever seem to get a good night's rest. Most nights, my brain patiently waits for my body to feel tired, then when I lie down to sleep, IT AGGRESSIVELY BEGINS THINKING STRESSFUL THOUGHTS, or just refuses to let me relax. As you can see, lying in bed for over an hour and waking up a couple of times throughout the night is pretty normal for me. Sometimes I'll even get sleep paralysis which is always a blast! My usual pre-sleep routine consists of me putting on a TV show and watching until I doze off. This definitely doesn't help me fall asleep any quicker, but it does enhance my ability to fit The Office references into nearly every conversation! I pretty much couldn't fall asleep without my TV on, but that didn't seem like the best technique, so when I learned Sleepace makes something called the Nox Aroma Smart Sleep Light that provides sounds, light, and aromas geared toward helping you sleep, I had to give it a shot! I know a lot of people who prefer sleeping in pitch black silence and I ENVY THEM SO MUCH. For some reason I can't sleep without some sort of noise, even if it's just a fan blowing. So, I felt like this would be worth giving a try! The device connects to your phone using the Sleepace app, and you can control everything from the color and brightness of the light, to the sounds it emits, or how quickly the aroma diffuses. I'm an easily impressed child, so I spent like five or 60 minutes looking at the different colors and listening to the different sounds, trying to decide on what to fall asleep to. Because I went through all of the options so thoroughly, I feel qualified to voice my personal opinions on them. FAVORITE COLOR: The ever-changing multicolor. FAVORITE SOUNDS: The piano playlist, the sound of ocean waves crashing, and the sound of raindrops falling. LEAST FAVORITE SOUND: The lullaby playlist! It had heavy horror movie vibes and it's tough to doze off when you feel like you're living in The Conjuring Universe. 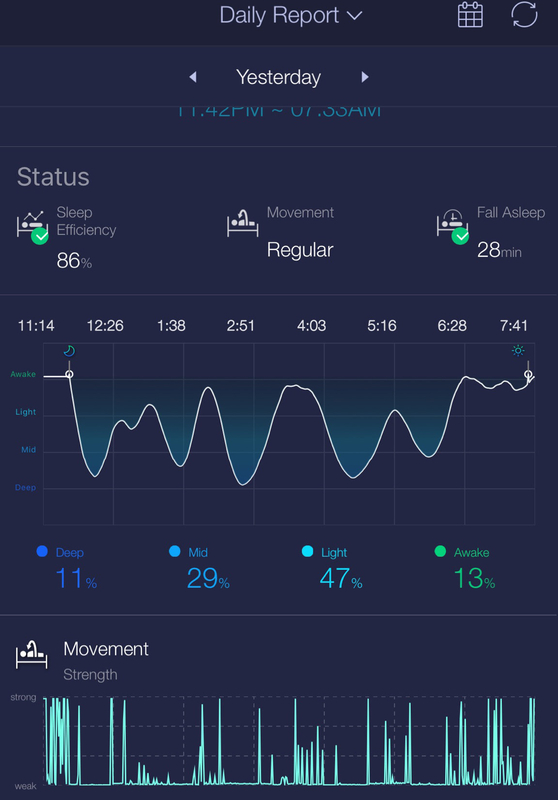 Once you're ready to doze off, you leave your phone nearby and it monitors your sleep, then in the morning you get a daily report that provides details about how you slept. One thing I learned within the first few days of using this was that I don't fall into a deep sleep very often. I don't know the scientific explanation for why I struggle to fall into deep slumbers, but methinks it's simply because I have no chill. I live in a reasonably safe-ish neighborhood, but I feel like I sleep on edge, with the anxiety and cautiousness of someone resting in an abandoned barn during a zombie apocalypse. In defense of the smart light, the Friday and Saturday scores were weakened by the weekend, because I had to stay up late and enjoy some wine, y'know? As you see, I can have an assortment of reasons points are deducted on any given night. The biggest benefit for me thus far has been that I'm falling asleep significantly faster and feeling more relaxed at night. It probably helps that instead of watching Jim and Pam fall in love for the hundredth time, I'm being soothed by whiffs of lavender and hearing harmonious sounds, but it's been nice to fall asleep within a matter of minutes instead of over an hour. 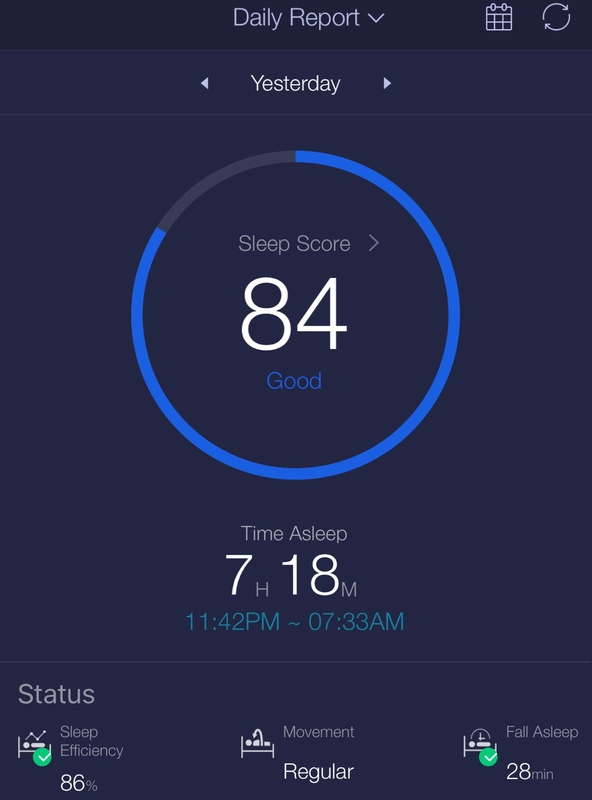 - The highest sleep score I've gotten is an 84. My goal is to get above 90. - All in all, I'd recommend giving a smart light a try if you struggle with sleeping. It may not magically fix everything, but it certainly won't hurt. - I haven't had sleep paralysis once since using the smart light, which is really impressive considering I probably summoned a demon the night I played that creepy lullaby playlist. The Nox Sleep Light is currently sold out on Amazon, but you can check Sleepace for updates on products.